I drove to Kona to have lunch with Melanie Bondera, a spokeswoman for GMO-Free Hawaii, to hear her side of the story. On the deck of a café frequented by locals, Bondera told me of her concerns about GE papaya and genetic engineering in general. Bondera is a well-spoken and fierce advocate for banning all GE crops in Hawaii, including papaya. Bondera moved from the mainland in 2001 to raise a family and run an organic farm producing coffee, avocado, vegetables, taro, papaya and other crops. 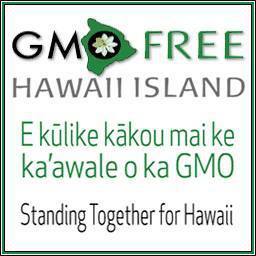 In the early 2000s she and others formed organizations that later developed into GMO-Free Hawaii and Hawaii SEED, which are opposed to all GE crops and are major backers of the bills initiated by Wille and Ford. Bondera’s main concern about GE crops is “contamination” by pollen transfer and movement of GE seeds into organic farms. (Organic standards do not allow GE crops.) 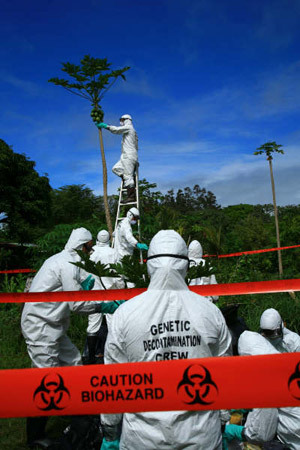 Although not trained in molecular techniques, Bondera conducted tests that she claimed showed GE papaya contamination was “all over the island; it’s everywhere.” When asked how this occurred, she said it was from pollen flowing out of GE papaya fields and movement of GE papaya seeds. “Every time you sell or give a GE papaya to another person, they are going to have to do something with the guck and seeds inside the fruit and this means throwing it out into the compost pile,” where new plants sprout, Bondera explained. 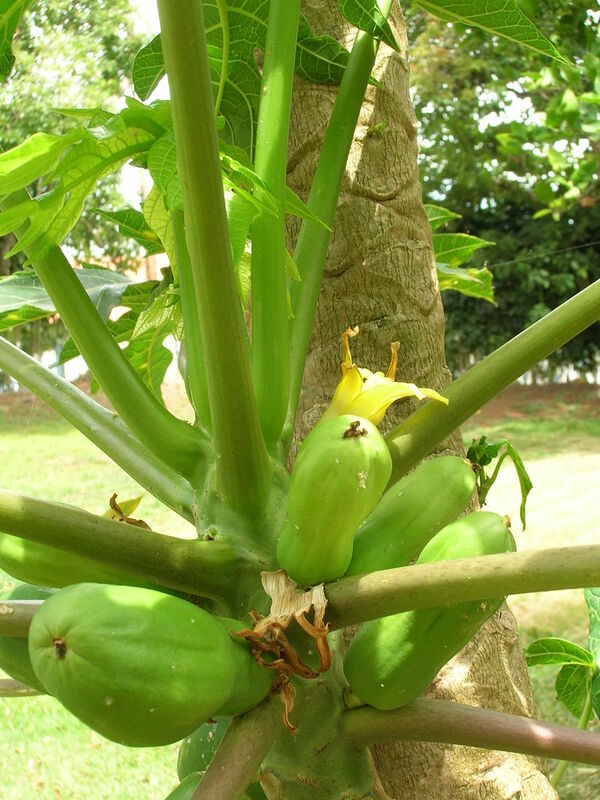 Richard Manshardt, a horticulturalist at the University of Hawaii, has a different perspective on GE papaya “contaminating” the environment. Manshardt has worked extensively on gene flow in papaya and doesn’t dispute that GE papaya seeds are dispersed by various means. Scientific arguments like Manshardt’s did not convince Bondera and a small group calling itself the Papaya Freedom Fighters who carried out a demonstration on the University of Hawaii, Hilo campus in 2004. After notifying the local press of their intended actions, Bondera and her colleagues threw about 20 papaya fruit into a trash bin in a symbolic protest of what they say is contamination of their trees by GE papaya. Other anti-GE papaya actions followed. In July 2011, about 8,500 papaya trees on 10 acres on the Big Island were chopped down under cover of night in what the local newspapers called an act of eco-terrorism. Similar incidents of papaya vandalism followed, including one in late September 2013 while the bills were hotly debated. The police have been unable to solve the cases and no group has claimed responsibility.